How to "connect" a project in QT (.ui) with Python - New and Fresh Private + Public Proxies Lists Everyday! Hi, I was looking for a way to create a desktop application interface in Python and I found this option (the QT). 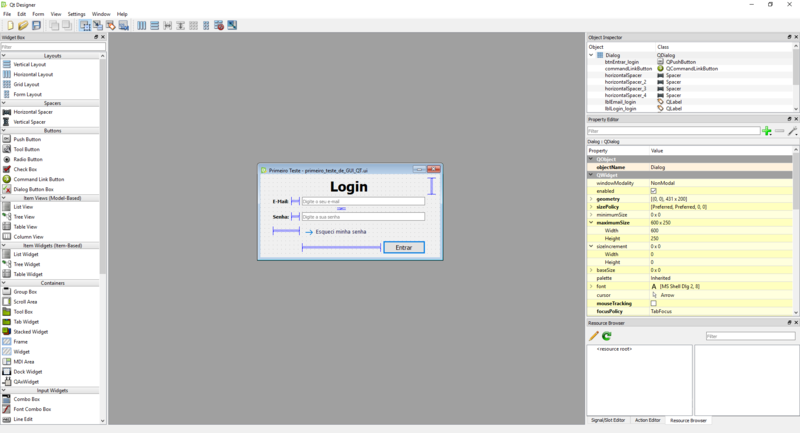 However, I would like to create the interface in QT and manipulate it in Python, for example (for learning initially) I would like to "connect" this interface that I created with Python to retrieve the field information and perform the processing strings in Python and send the result to a database in MySQL. So I would like to know first if it is possible and then how would this "connection". Note: In some forums, similar doubts have been noted, but the results have not worked for me. Previous Previous post: pathfinder – How does the monk's feat work?